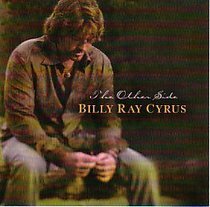 Hailing from small-town Kentucky, Billy Ray Cyrus is an American singer/songwriter who helped to make country music an international sensation. His album Some Gave All has sold multimillion copies worldwide and is one of the bestselling debut albums of all time for a solo male artist. In addition to his music career, Cyrus starred in the TV series Doc from 2001 to 2004 and costarred in the Disney Channel series Hannah Montana with his daughter, Miley Cyrus.